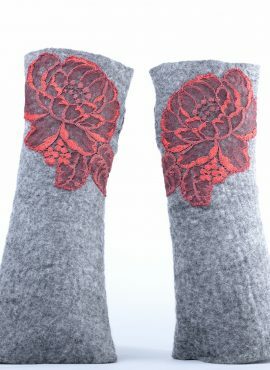 Lovely lavender mittens decorated with green lace flowers. 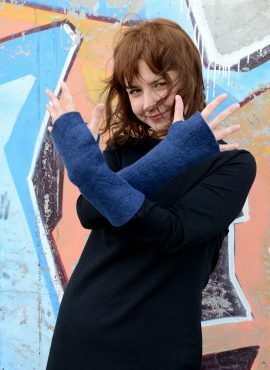 Beautiful pieces of wearable art perfect to use during dates and other occassions. 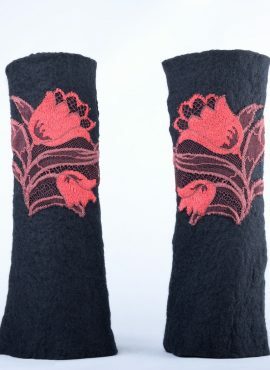 Black mittens with red lace flowers in retro or burlesque style. They will look amazing with your evening outfit and will give you a feeling of luxury.